Consultants Carlos and Dee Zorea ingeniously unveil a wealth of wisdom through the interactions of manager and consultant in a narrative told by Dennis. The book moves the reader through four distinct areas: diagnostics process and methodology to identify organizational weaknesses, team building, operational management, and monitoring and control of the new organization. Instead of delivering such topics in a traditional textbook, academic, or dull style, the Zoreas serve up expert advice in a highly palatable form, all the while making the reader want to know how things turn out for Dennis. The authors supplement the text with exhibits of the various tools Chuck employs in his sessions with Dennis, including: a helpful “Request for Materials (RFM)” checklist of all the subject areas a business unit manager needs to know about; a format for a business road map; a sample of a “change design dashboard”; self-evaluation questionnaires; and more. It is likely that managers interested in honing their skills can apply many of these tools to their own situations. Carlos and Dee Zorea have done a masterful job of packaging their management consulting advice in a readable guide that is as entertaining as it is useful. Dennis definitely seems as if he’s in over his head when he begins working in a business unit called BLM. It’s a job he’s highly unprepared for, but luckily he has the support of someone who knows what he’s doing and can help immensely. Together Chuck and Dennis are able to overcome many obstacles and to improve the company so that it’s not only sufficient but actually operating well. This is a non-fiction story of how two men were able to turn around a company and Manage It Right! can help anyone else do the same. This book may seem like a non-fiction biography of how Dennis and Chuck managed to turn around BLM, but that’s not all it is. In fact, even when you’re reading about the specifics of the one company these two men saved, it’s possible to apply many of the same tips and ideas to any problems you may currently be facing in business as well. There’s a lot of in-depth information contained in this book and it’s actually a very interesting read as well. I found myself caught up in the story and not even realizing that I was also learning some new management tools. Manage It Right! by Carlos Zorea and Dee Zorea is definitely a book that I would recommend to anyone who is working in the business industry. There’s a lot that can be done to save what some might consider a sinking ship and this book lays it all on the line. A demanding road map for turning around a failing business. Fifty years of corporate management experience are distilled in this practical handbook for business managers, especially for those tasked with saving a business that is bleeding revenue and fending off bruising publicity. In their debut volume, the Zoreas—father and son—coach middle managers on fixing internal management problems. The senior author’s engineering background is evident in the book’s clear, methodical approach to information gathering and analysis, all succinctly summarized in a questionnaire included as an appendix. The basis of good management, according to the Zoreas, is the unglamorous but necessary business of “problem finding, problem solving, implementation, monitoring, and control.” In turning around a failing business, accurate profit-and-loss accounting matters more than charismatic leadership, the authors write. The handbook is filled with tables showing, for example, how to keep track of action items and how to create “change design” dashboards. Offering coaching tips on communicating effectively with higher-ups, selecting project management software and conducting productive meetings, the book has an explicit bias against employees with advanced degrees who lack multidisciplinary business skills, despite their MBAs. It also takes aim at conflict-of-interest practices among corporate executives. Some executives who are compensated for meeting performance benchmarks are setting goals and objectives that are too easy to reach, thereby causing their companies to stagnate and lose market share. It’s hard to imagine a more disciplined regimen for business recovery than the one outlined by this coaching duo, who demand a seven-day-a-week commitment of time and thought for a stretch of two to three years. Tough-love business management advice that never loses sight of the big-picture economy. Manage It Right! is an amazingly useful book on how managers can make organizations effective. The Zoreas’ book is full of usable knowledge that is easy to read, understand and assimilate. Like the consultant that I respect and appreciate from our years of working together and adding value for our stakeholders, I found Manage It Right! to be well organized, insightful, hitting on the key topics and associated lessons. Manage It Right! is one of the most valuable books a manager or executive could ever have the pleasure of reading. As CEO of a Nasdaq traded company, I found Carlos and Dee’s creative way to teach complex business management as explained in this unique book to be invaluable. Having personally witnessed these management methods at work, the Zoreas truly delivered beyond my greatest expectations. Manage It Right! helps managers succeed. In my 30 years of business reporting for the Detroit Free Press, Detroit News, and Crain’s Detroit Business, Carlos Zorea is the savviest person I’ve met. His observations are always spot-on, and he is legendary in the Detroit area for entrepreneurs who became successes because they were smart enough to listen to him. With Manage It Right! everyone can gain the same powerful insights we’ve enjoyed. Carlos Zorea and his team helped us organize for growth and focus sharply on what matters. Every day, we still use the lessons he taught us to drive sales and profitability. Manage It Right! is a comprehensive and highly readable guide to dealing with organizational challenges that require understanding emotions, politics, skill levels and techniques – along with highly organized hard work and a commitment to succeed. It is an amazing encapsulation of the clear logic and highly disciplined methodology that made its authors the successful and sought after consultants they are. The commitment Carlos Zorea and Dee Zorea have demonstrated in sharing their methodology, developed through years of successful engagements, is typical of my experience with them as they guided us through very complicated business situations to ultimate strategic and operational success. Reading Manage It Right! brings back exciting memories of several engagements: complicated; intense; business saving; difficult; and with brilliant results. Here are the Zoreas’ ‘secrets’ to be harvested. Manage It Right! is an engaging story about a realistic business situation and its protagonists. The short chapters teach practical management lessons, not just abstract principles. As a former manager who benefited from Dr. Zorea’s mentoring, I can heartily recommend this book, and the man who shares his life lessons in building a sound business. Manage It Right! is different from anything I have encountered before and it’s worth it. Unlike most ‘how to manage’ books, this book actually deals with the niche of turnaround situations. Carlos Zorea and Dee Zorea tell a great story that teaches managers the secrets to management success. I witnessed Carlos Zorea apply those same secrets to take control of a business spiraling out of control, stabilize it, and turn it into a success by mentoring middle managers and radically changing the culture. Manage It Right! is an engaging compendium of practical and extremely valuable business management lessons embedded within a hypothetical, but realistic, business success story. 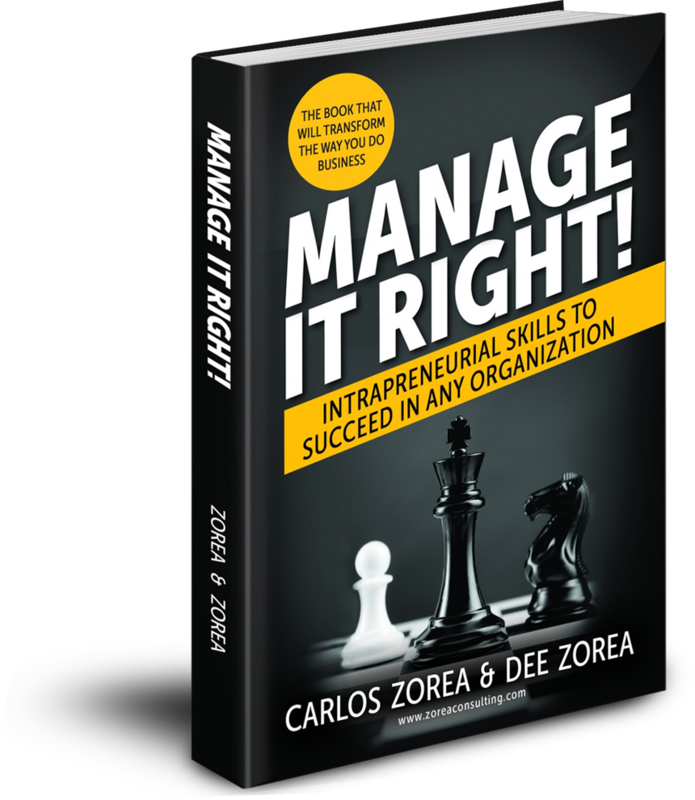 Carlos Zorea and Dee Zorea successfully introduce a new element of business discipline in each chapter, culminating in an overall business management construct that can propel any business to success. From personal experience, I can testify that Dr. Zorea’s management methods deliver. I strongly recommend that every business manager adds Manage It Right! to his or her library. Get this book and take a few hours to read it. You will undoubtedly find techniques and tools applicable to your own organization. You will probably identify with the challenges Dennis faces as he overcomes adversity and grows as a manager. Let this book be your mentor as you grow in your career. The tools and techniques that the Zoreas developed over fifty years of business experience have applicability to all organizations regardless of their current success. Take this book to heart and let it positively change your own managerial effectiveness. Return to it often and adapt the tools to your own organization and style. This is certainly a book that will benefit all managers and become a reference for years to come. Carlos Zorea, PhD, MSc, founder and CEO of Zorea Consulting, is a business management expert with fifty years of experience in corporate management, executive capacities and executive consulting. His unique and extensive career spans all phases of business, from development to growth. 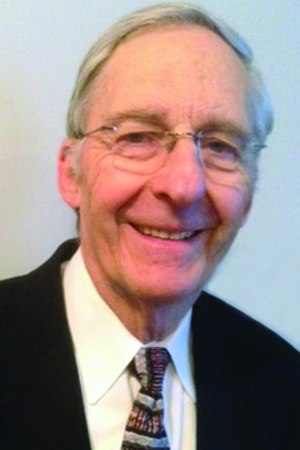 Dr. Zorea’s vast business expertise has proven itself over the years in his roles as chief executive officer, chief operating officer, and as chairman or board member of several companies. Dr. Zorea increases corporate value by working one-on-one with CEOs and presidents of Fortune 500, midsized, and start-up companies to make high-quality decisions using proven tools, methodologies, and processes. Accordingly, these client companies have achieved growth and improved profitability within a short period of time. Dr. Zorea’s educational background includes a master of science in management from Stanford University’s Graduate School of Business and an aeronautical engineering doctorate. Dee Zorea, MAS, has collaborated with Zorea Consulting on business management theory, corporate strategy initiatives, and client service. 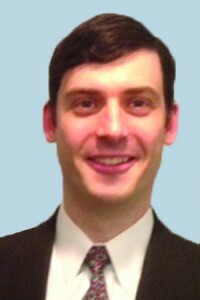 He brings more than fifteen years of business experience in finance, accounting, and marketing. Dee completed his undergraduate studies at Dartmouth College and his master of accounting science at Northern Illinois University. Skills Gap: From decades of business management experience, we noted the big gap that exists between new managers’ actual and ideal management skills. Methodology: Dee often asked Carlos how we always succeeded even in the most stressful situations to stabilize and catapult our clients’ business units to success. Dee developed a management-model based on a sequence of events that leads naturally to improved performance. Legacy: We want to leave a legacy based on our intense experiences. In 2012, Manage It Right! – Intrapreneurial Skills to Succeed in Any Organization started as a management reference book to present the steps a challenged business unit has to sequentially take to stabilize itself and ultimately to grow. After several months of work, the first draft was technically accurate, but pretty arid. Dee suggested using the same content in the form of a story. What challenges did you face during the writing process? It is much easier for a good writer to write either a pure novel or to write a subject-matter reference book. Although in our careers, we have delivered hundreds of consulting reports, neither of us is a professional book writer. We realized that a book has a lot more nuances to consider than a report. After all, management is more than technical mechanics; it’s also about personal feelings which are rarely, if ever, conveyed in a reference book. So the idea of presenting the information in a hybrid format — that is, non-fiction lessons in fiction format — was a natural one. It makes the content much easier for the readers to integrate and implement into their daily work. Is the title’s ambitious claim possible? We have met a lot of individuals with entrepreneurial spirits who work for different organizations. They want to enjoy the support of their organizations, but not be limited by corporate shackles. We call these people intrapreneurs. However, because this combination of freedom within structure is rare, most intrapreneurs either leave to become entrepreneurs or they stay and end up ‘unhappy campers’. Intrapreneurs are a very important layer of the business community.Manage It Right! is written for them. The skills presented in the book can be used in any organization. Obviously there are different industries and different levels of managerial challenge. The book can be used as a reference for those starting as managers with relatively simple assignments to those who need to run a business almost independently. This book is backed by 50 years of experiences, across different industries and different scenarios. The full method was implemented numerous times with fantastic results for our clients. To Manage It Right! is not an easy task, but the book helps readers to more easily achieve their personal and corporate goals. Is this book a reference guide or a fictional story? We believe in teaching by using simulation techniques, and Manage It Right! takes the same approach. The story plot is based on actual experiences and this realism helps the reader remember some of the important topics. Who are the book’s target readers? Management teachers and professors who want an alternative way to teaching effective management lessons. What are “Chuck’s Words of Wisdom”? In our consulting engagements, we use certain sayings to describe different business concepts. These and quotes from other people eventually grew into a little collection. Although these appear separately at the end of the book, look for future posts about business management tips to include these. We wrote this book to teach and help managers in any organization to succeed. If every reader takes only one of the dozens of ideas presented in the book and implements it, we will have touched the lives of thousands upon thousands of managers, employees, and other stakeholders.